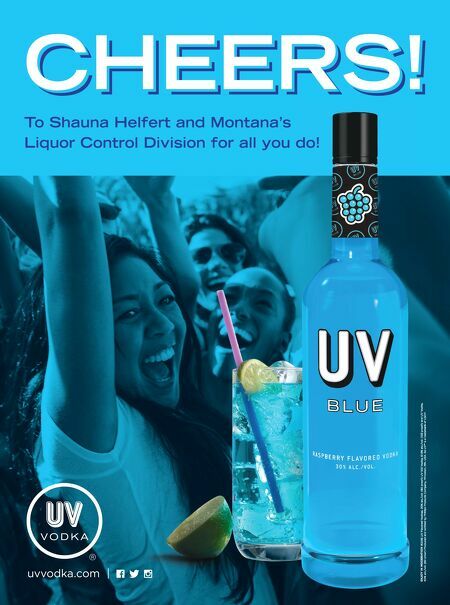 ENJOY IN MODERATION ATION A ©2015 UV Flavored Vodkas, 30% alc./v /v / ol. (60 proof); UV 103 Vodka, 51.5% alc./v /v / ol. (103 proof); and UV Vodka, 40% alc./v /v / ol. (80 proof).Produced and bottled by Phillips Products Company, Prin y, Prin y ceton, MN. USA. be UV™ is a trademark of USDP.